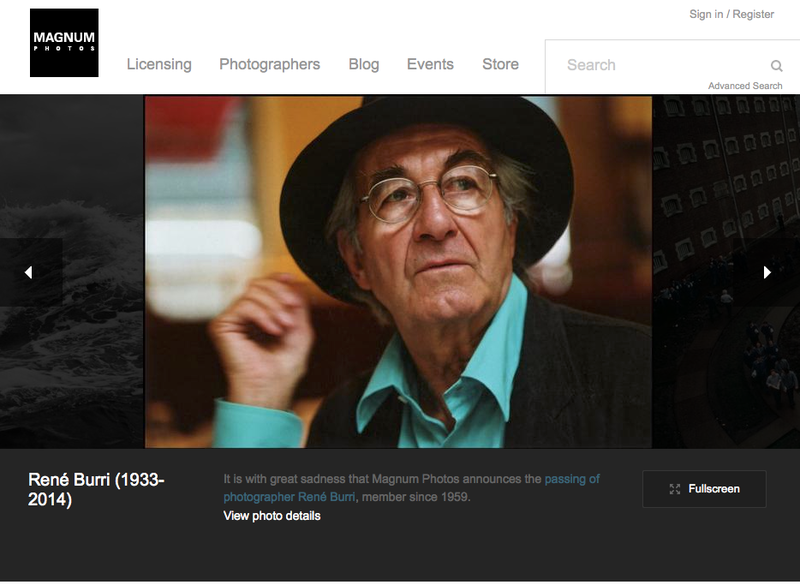 Many of the world’s most famous documentary photographers have been members of this agency. Its founders include Henry Cartier Bresson, Robert Capa, George Rodger and it now counts the likes of Martin Parr among its members. You can flick through the work of its members directly from the site. I have also found a recording of Robert Capa’s only known radio interview. ~ by Nigel on October 27, 2014.